How can we judge if Euthanasia is morally right? I saw a program the other day on British TV about people traveling to Switzerland to end their lives. Personally I believe we live in dignity and dying with dignity is simply not possible and before that time of confusion and fear comes one must live authentically, in the moment, and act morally as far as we are able. However the plight of those who feel the need to travel to a foreign land, to a grubby garage, and to choke down a poison drink to end their lives struck me as an issue we should think about from a moral perspective. From a Utilitarian perspective euthanasia is acceptable as it minimises pain and looks at the balance of happiness and pleasure that will be gained from the situation. Considering this balance will be seen as a good way of deciding whether or not to allow someone to take their own life, as it allows not only the individual’s express desire to end their life, but also considers the others involved in the situation. It is also likely that a Utilitarian will say that, in the end, it is better to allow someone’s suffering to end painlessly than allow it to continue where there it little or no quality of life remaining. On the other hand, Utilitarianism also tries to assess the consequences of each action so that the most advantageous overall can be chosen. This is likely to be a very difficult thing to do when death is involved, as there is no way of telling what they (the deceased) might be capable of in the future or how their death may affect others. Though it is good that the consequences are considered, it is much harder to consider long term effects or future consequences, and also to gauge just who particular consequences are good for. It could be said that euthanasia allows a person’s dignity to be preserved along with their autonomy and quality of life, however because the majority outweighs the minority in utilitarianism there are no guarantees that this will be so. Whilst it is important to consider the feelings of others, the patient themselves will ultimately have little real say and may consequently be forced into a decision – either through the preservation of the life they wished to end, or being forced into assisted suicide because that is what is better for the majority. In contrast, an ethical theory such as Situation Ethics may be a better way of approaching euthanasia. This looks instead at the most loving thing to do in any given situation, regardless of law. Though it too considers the opinions of others, it is much more likely to look to the wishes of the patient and the most loving thing to do for them. 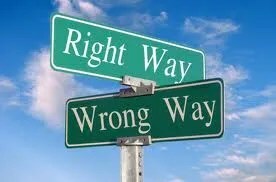 In conclusion then the best course of action when relating to euthanasia is to look to a relative moral theory so that each situation can be judged on its own merits rather than dictated by universal laws and maxims. However, though utilitarianism could be seen as a fair and democratic way of making such a moral decision, it also leaves way for the tyranny of the majority to take place, where the wishes of the individual are outweighed by that of the majority. Therefore, Situation Ethics or another such relativist theory could perhaps be a better choice of option, as this looks not at the quantity but at the quality and love involved in each given situation, ensuring that the wishes of the patient are taken into account and adhered to.